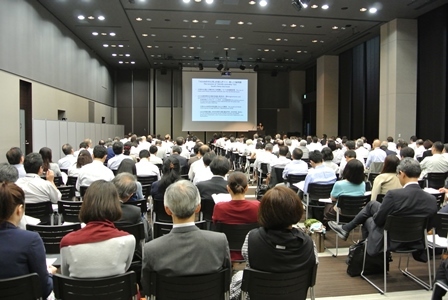 With completion of a series of pre-event activities during August to October 2016, consisting of four symposiums and a reception, to raise awareness towards the 50th Anniversary of the Association of the Southeast Asian Nations (ASEAN) scheduled in 2017, the ASEAN-Japan Centre (AJC) sets ready for its countdown. The serial symposium titled “Towards the 50th Anniversary of ASEAN” focused on ASEAN as a region in a multi-disciplinary setting — politics, economics and sociology — by involving multi-stakeholders — business, government and academia — including ASEAN Ambassadors based in Tokyo. It covered such topics as “investment and M&A”, “social and economic changes”, and “trade liberalization and the economic growth” in the ASEAN region, as well as the “ASEAN-Japan relations and the ASEAN’s regionalism”. The symposiums attracted more than 1,000 participants in total, and provided them with firsthand information from those who are directly engaged in and researching on these topics. 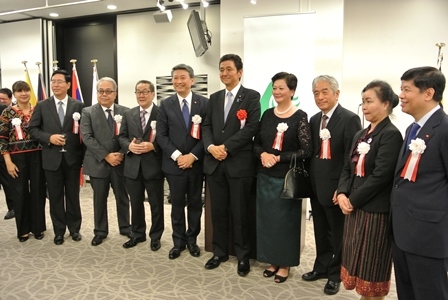 Following the last leg of the symposium and as a closing of these pre-events, a reception was co-organized by the AJC and the ASEAN Committee in Tokyo (ACT) at the ASEAN-Japan Hall, Tokyo, on October 7, 2016, inviting high-level officials from the embassies of the ASEAN Member States and the Japanese Government, as well as other stakeholders. It started with the opening remarks by H.E. Mr. Bansarn Bunnag, Ambassador of the Kingdom of Thailand to Japan and Chairperson of the ACT. It was followed by remarks by the guest of honor, H.E. Mr. Nobuo Kishi, State Minister for Foreign Affairs of Japan, who reaffirmed the strong ASEAN-Japan relations and extended his congratulations and expectations to the ASEAN’s upcoming memorial year. Mr. Masataka Fujita, Secretary General of the AJC, made a toast and expressed the Centre’s commitment to continue serving as a bridge between the ASEAN Member States and Japan. Through the pre-events, readiness and eagerness were shared to start the ASEAN’s milestone year of 2017, and make it a special year to further enhance the ASEAN-Japan ties.